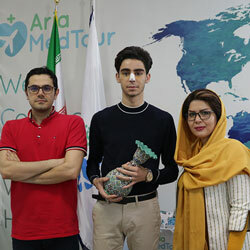 AriaMedTour at the best clinics in Iran. If you prefer to avoid the discomfort of injections, needles or surgeries or you want the most possible natural results on your skin, ultherapy would be the very thing. 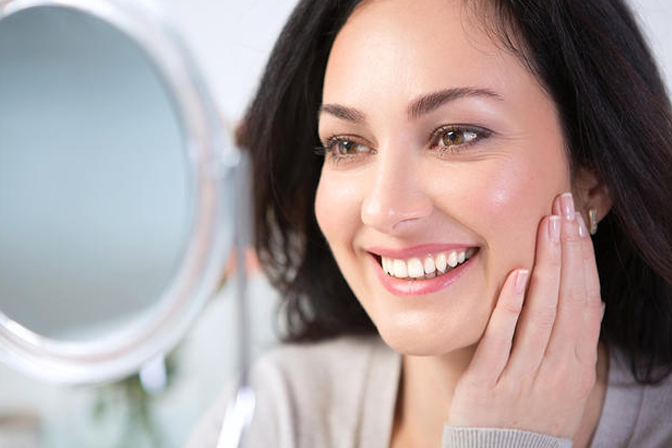 At AriaMedTour, we offer our patients high-quality ultherapy to help them achieve the natural look they used to have before aging has changed the face of their skin. If you’re considering to get ultherapy done, add Iran, a country where such cosmetic procedures are booming in, to the list of your options. 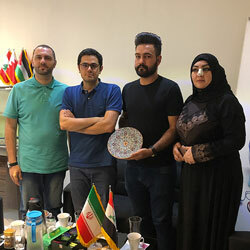 Read on to find out why Iran can be the right choice, how the procedure is performed, how much it costs, and many more. First of all, let us see what this procedure really is and how it can do on your skin. Ultherapy uses ultrasound to deliver focused sound energy to the skin and its deeper layers. It bypasses the surface of the skin and once the sound energy reaches the sub-dermal layers of the skin, it promotes collagen production and tissue growth, by triggering a natural response and stimulating the body to send nutrients and proteins to the certain tissues and affected areas. Ultrasound waves can turn back the clock and improve your skin. As we age, starting from our mid 30’s or early 40’s, our skin starts to lose its elasticity and collagen. That will cause the skin to sag and droop. Cheeks start to fall down, eyelids and eyebrows begin to droop. The chin doesn’t look as strong as it used to. It may not be visible early on, but everything starts to look different as a whole. In short, the victory of time and gravity on the skin starts to be more evident. Because aging is more a matter of appearance, wrinkles and sags are typically one of the first complaints that people have of aging. Due to the fear of injections, needles, fillers or cosmetic surgeries, being uncertain about their results, surgery complications, unwanted and unnatural results, some people are hesitant to do any cosmetic procedures. But not all cosmetic procedures are surgical. That’s when ultherapy comes in handy. The results of ultherapy are natural because it’s the body’s naturally occurring regenerative process, stimulated by an outside trigger, reactivating natural healing process and collagen production. As facial rejuvenation is becoming very in-demand in the country, a growing number of doctors and specialists hit the market, attending top western universities to get the latest knowledge and training in this field and make a killing. And indeed, ‘Iranian doctors’ contributes a lot to the popularity that the country has gained in this industry. 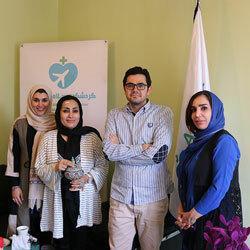 Furthermore, Iran enjoys numerous modern beauty clinics equipped with the latest facilities and technologies. Unlike what people may think, the quality of healthcare including the equipment, facilities, staff, hygiene condition, and services are on par with many developed countries. 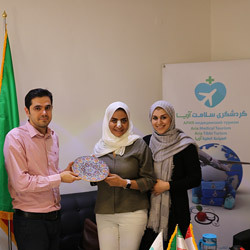 In addition, the cost of having ultherapy or any other cosmetic procedure done in Iran is far lower than neighboring countries and various other countries. So, by getting your ultherapy in Iran, you’re getting the best possible results at the best possible price. See how smoothly your ultherapy session will go on in Iran. 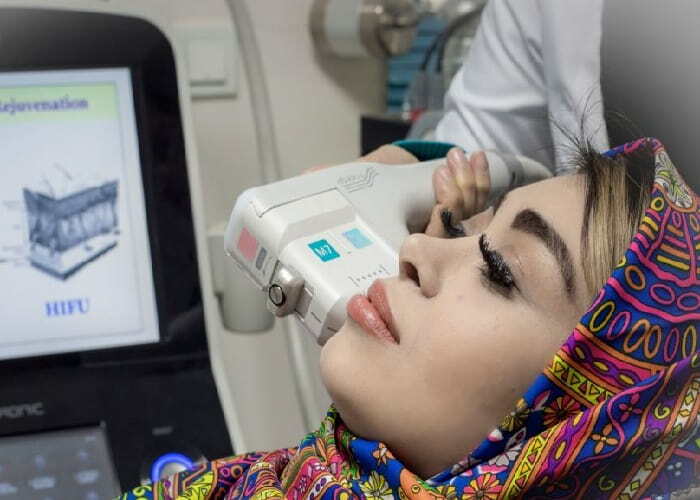 The procedure of ultherapy in Iran, depending on the areas in need of treatment and the degree of skin sagging, costs from $500 to $2,000. To be more precise, if it involves treating a small area, the cost ranges from $500 to $800 (per area). If there’s a large area to be tightened (e.g. full neck and face), however; it would cost from around $1,000 to $2,000. This is while the same procedure in the US costs you around $4,000. If it’s a small area, you’d be charged from $750 to $1,000. If it’s a full neck and face-lift, you’d be charged from $4,000 to $6,000 or more. In this non-surgical mini facelift procedure, a handheld device is used. This device produces sound waves which are not in an audible range. The targeted areas which need to be addressed are determined. Depending on your condition and goal, you may need to get a full neck and face-lift, or you may require treatment on the forehead. As the first step, a numbing gel is rubbed on your skin. Then, the device will be placed on the gel-rubbed areas. This gel only numbs the surface of the skin. It doesn’t have a significant effect on reducing the slight pain and discomfort associated with the process. However, when the procedure is done using a low energy level with greater ultrasound lines density, it reduces discomfort without affecting the results. Ultrasound circumvents the surface of the skin and delves into the deeper layers of the skin. The handheld device is pressed on the skin and moved from one area to another area, aiming the energy at the targeted area several times. Some of the foundational parts of the skin also absorb the energy, from that the collagen production starts. Depending on the size and location of the treatment area, the treatment session lasts no more than 60 minutes. See the results of ultherapy in Iran! What to Expect after Ultherapy Treatment? Immediately after the treatment, the skin may get red and swollen, which lasts for a few days. Some flushing, mild swelling, tingling, sensitivity and bruising are natural to happen after the treatment, which recedes relatively quickly. There is no overnight stay or downtime after the procedure. The patient can go back to their normal daily life and work schedule. If he/she doesn’t mind going out with a red and swollen face, then they can resume their normal life activities immediately after the treatment. Some patients may see immediate results in the first few days after the treatment. Around the second week or so, real changes begin to appear, but the real magic starts to occur in the first couple of months and becomes more evident over the next eight to twelve weeks. By the third month, most patients start to see noticeable changes in their skin. After the first few months, the skin is prompted and stimulated to produce more collagen. As a result, old skin, including the top layer of the skin, is replaced with new tissue and smooth skin layers. The skin looks lifted, tight, and supple. The overall texture of the skin will look brighter, younger and more fresh which attracts compliments on having a refreshed skin and looks. When you’re considering to get any cosmetic procedure, you most probably want to know what you’ll lose and what you’ll gain after the procedure. That’s why here we list the pros and cons of undergoing an ultherapy procedure. Ultherapy is recommended to people with mild to moderate amount of sagging, skin laxity and signs of aging on the skin. In this case, this ultrasound skin lifting procedure might not be enough and other treatments might need to be done simultaneously in order to see more evident results. You may come across both thermage and ultherapy when you’ve been exploring your options to get rid of saggy skin. That’s because both procedures do wonders when it comes to wrinkles, lines, and blemishes. Thermage uses radiofrequency waves to trigger the production of collagen, while ultherapy use ultrasonic waves. Ultherapy is recognized to be safer and it is the only FDA-approved technique. 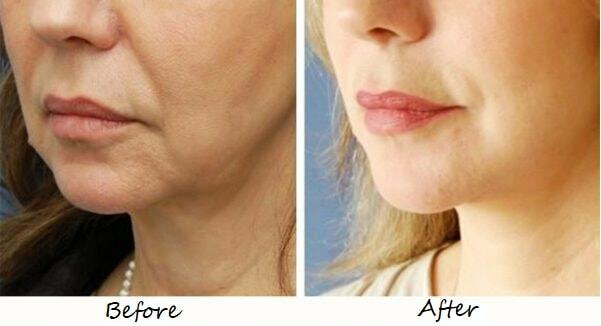 This procedure can lift and tighten the skin of the face, neck, jaw, and chest. Thermage can address more areas from face to abdomen, thighs, and arms. In the end, it’s up to you and your skin condition to go through either of them. Ultherapy or Skin Laser Treatment: Which one is better? Both ultrasound and laser treatments have a lot to offer to those who wish to travel back in time and wipe away the signs of aging from their skin. With almost no downtime, ultherapy facelift offers a more pleasing course of treatment compared to laser treatment. In ultherapy, the waves penetrate to the deepest layers of the skin, which results in a more effective tightening and smoothing. Laser skin resurfacing can only erase the wrinkles, dark circles, and scar marks, and it’s no good at tightening the skin. So, depending on what your skin needs, you and your doctor may decide which procedure is better for you. Am I a good candidate to get an ultrasound skin tightening procedure? A good ultherapy candidate is a person with mild to moderate skin sagging, laxity and aging. The time when skin looks weak, less tight and firm is the right time to consider this treatment. Conditions such as mildly drooped eyelids and brow, loose skin on the neck and sagging skin under the chin, plus line and wrinkles on the chest area can all be improved through this procedure. The results are long-lasting if the treatment is done on the right candidate. Usually, patients achieve the desired results with only one session of ultherapy. In some other cases, the patient decides to repeat the treatment on an annual basis to help maintain the results. Aside from a little bit of tingling and sensations of tiny shocks or zaps, it doesn’t have any major pain or discomfort associated with it. But if the patient has a low threshold for pain, they can ask the doctor to give them topical anesthetics before starting the procedure. With a few reports on permanent complications, ultherapy is known as one of the safest skin rejuvenation procedures. As there’s no surgery involved and the ultrasound waves are precisely delivered to the skin, the procedure is done with great safety and satisfaction. In rare occasions, complications like botching, discomfort, irritation, and nerve damage have been reported. How many ultherapy sessions are needed? In most cases, patients can achieve their desired results after one session of ultherapy. In fact, depending on the patient’s skin condition, the number of ultherapy sessions will be determined. In patients with extensive saggy skin, more than one treatment session (2 to 3) will be required.